IT’S TIME WE KICKED the concept of fajitas and chimichangas as authentic Southwestern food. Shaped by Mexican immigrants, Spanish explorers, and a multitude of American Indian cultures, much of the Grand Canyon State’s culinary scene utilizes native plants and spices. Prickly pear margaritas are a thing, and cactus tacos are available at roadside stands. Seriously. The reality is that Arizona offers plenty of diversity. From Mexican-inspired hot dogs to locally foraged fungi, here are a dozen Arizona dishes and events that should top your culinary travel list. 1. Level up your (Sonoran) hot dog game in Tucson. The Sonoran hot dog is to the Southwest what deep-dish pizza is to Chicago: an iconic food that both tourists and locals gravitate towards. Man v. Food’s Adam Richman dug the bean-and-bacon-slathered wiener at El Guero Canelo, a homespun dog shack that grew from a roadside stand into a mini food empire with three Tucson locations and a Phoenix outpost. The flavorful grilled meat is wrapped in mesquite-smoked bacon and topped with jalapenos, onion, mayo, and pinto beans for a dog that’s as classically Southwestern as you can get. 2. Snack with the ghosts in Jerome. Just down the road from one of the most haunted hotels in Arizona is a funky private-residence-turned-commercial-space, where guests can get a taste of Jerome’s history with a side of fries. Numerous spooky happenings have transpired at the Haunted Hamburger, according to owners Michelle and Eric Jurisin, including slamming doors and flying canned goods. The entire town is full of stories, as this was once a booming mine town that barely escaped “ghost” status — the fourth-largest city in the state a hundred years ago, its population at one point dwindled to around 50 stubborn residents. Paranormal activity aside, the burgers here are top-notch. 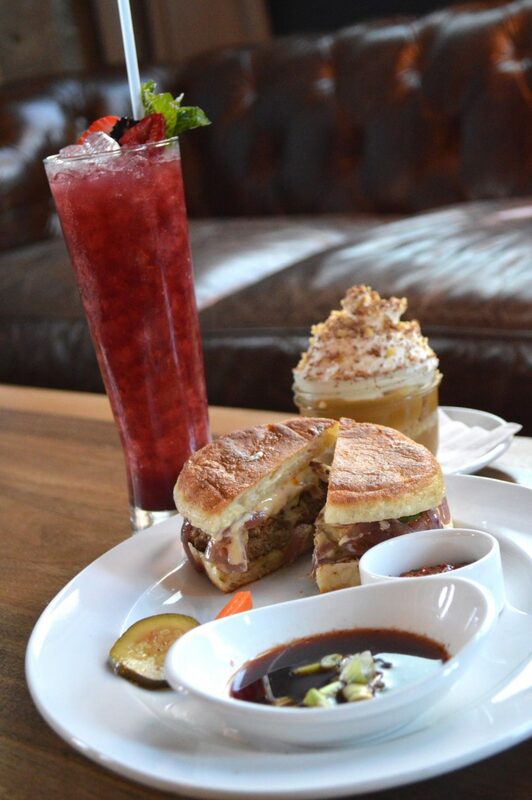 My favorite pairing involves the green-chile-and-guac-topped Southwest Sourdough Burger, spicy chipotle deviled eggs, and a Gold Miner milkshake spiked with salted caramel vodka. Perhaps the only ghosts here are the peppers, but who knows? 3. Sample the grilled buffalo in Chandler. With considerably lower fat and calories than its much more popular bovine relative, buffalo meat is touted as a healthier alternative to beef. And the AAA Five Diamond Kai Restaurant at Wild Horse Pass gives this Wild West trope the royal treatment with smoked corn puree and chorizo sausage chili (topped with syrup made from saguaro blossoms). In 2016, Kai’s buffalo landed on Phoenix Magazine’s list of the 75 Best Dishes in the Valley. It’s tangier than beef, with a strong iron undertone cut by that honey-like saguaro blossom syrup, and a definite must-try for city folk who aren’t necessarily at home on the range. Yes, it’s totally possible to find tasty natural foods growing in the desert. Herbalist and lecturer John Slattery propelled this concept into the mainstream when he released his 2016 field guide, Southwest Foraging: 117 Wild and Flavorful Edibles from Barrel Cactus to Wild Oregano. There are numerous wilderness areas throughout the state to find wild mushrooms and edible cacti, and you only need a free afternoon — and some pro tips — to try your hand. To get started, the Arizona Mushroom Society hosts foraging trips for beginning fungophiles and offers a helpful map of where to look on your own. Or leave the foraging to the folks at Coppa Café in Flagstaff, where chefs Brian Konefal and Paola Fioravanti use foraged fungi and plants in their homey stews and meat dishes. 5. Eat in Phoenix’s Barrio. There are more “authentic” Mexican plates in Arizona than you can count, but Barrio Café’s cochinita pibil is the one dish I crave on cool winter nights. James Beard nominee Silvana Salcido Esparza’s tangy pork shoulder is marinated and slow-roasted (really slow-roasted, like, overnight) for tenderness with citrus, achiote, and other spices. Follow it up with the American Indian version of funnel cake (or zeppole, for you Midwestern Italians out there) at Fry Bread House, and you’ll never crave the carnival kind again. 6. Have a slice at Rock Springs Café in Black Canyon City. It’s not an Arizona road trip without stopping for a slice (of homemade sugary goodness, not pizza) at Rock Springs Café. Founded in the early 1900s as a popup general store for travelers between Phoenix and Prescott, the original Rock Springs Hotel was visited by the likes of Wyatt Earp and Jean Harlow. It later transitioned to a restaurant and bakery, where a huge selection of cream and fruit pies (including my favorite, Jack Daniel’s pecan pie) are sold by the slice from glass cases. This is the kind of pie your gramma set to cool on the windowsill, with thick shortening crust, lattice tops, and rich, goopy fruit fillings. Weary travelers can also score pies for the road, or order one delivered to their doorstep for around $25 plus shipping. 7. 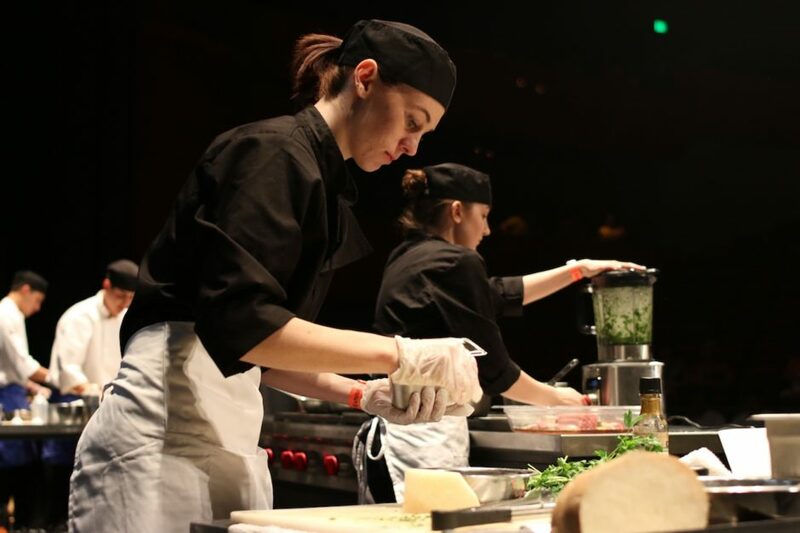 Experience the best of the best at the Scottsdale Culinary Festival. It doesn’t matter if you’re a seasoned gourmand or if you proudly stuff potato chips inside your peanut butter sandwiches — there’s something for every taste at Arizona’s premier food festival (and the country’s longest running). The events spanning January to April draw more than 40,000 visitors hungry for cocktail parties, burger battles, chef demos, and the “wine & chocolate experience” — complete with music, dancing, chocolate paintings, and plenty of wine. Though the food definitely takes the spotlight, there’s also a silent auction and live music, and the entire thing is technically a fundraiser, with all proceeds going to support local arts, artists, and art education programs. 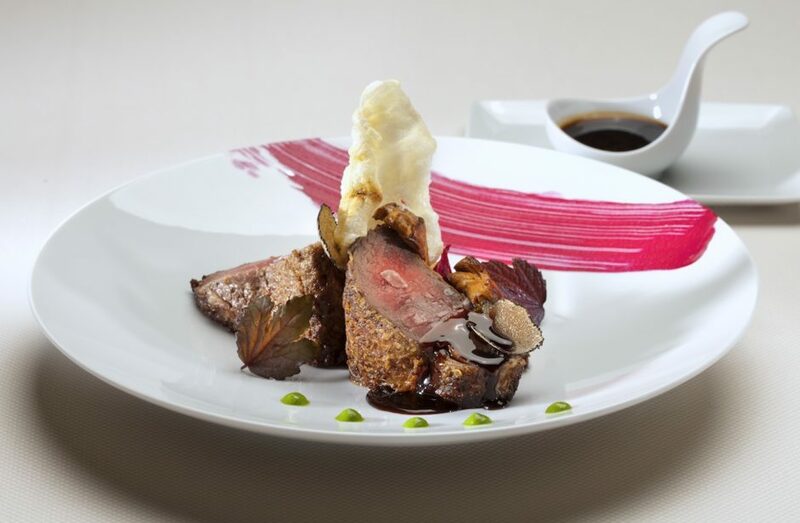 Tip: If you’re serious about food, spring the $175 for Best of the Fest, a finale dinner featuring five-course custom meals cooked by local celebu-chefs. The meals are crafted table-side, and the wine is almost always flowing. 8. Eat like a caveman in Sedona. You’ve probably heard the hype about the Paleo Diet, founded by New York Times‘ bestselling author Loren Cordain, PhD. It’s all about clean eating with lots of protein, veggies, and healthy fats; according to Dr. Oz, it’s good for weight loss as well as pain reduction. While I can’t confirm either of these claims, the grub at Sedona’s Café Paleo Brio manages to be filling and flavorful while adhering to Cordain’s principles. Grunt over decadent elk and venison sausage, finished with a bone broth shooter, or chow down on one of the their custom Paleo bowls with grass-fed beef and organic chicken. Eating paleo doesn’t have to mean gorging on meat, though — Café Paleo Brio has plenty of vegan and vegetarian options, too. Bonus: The entire restaurant is dark and cozy, with rocklike walls and faux trees to bring out your inner Neanderthal. 9. Take a downtown culinary tour in Tucson. 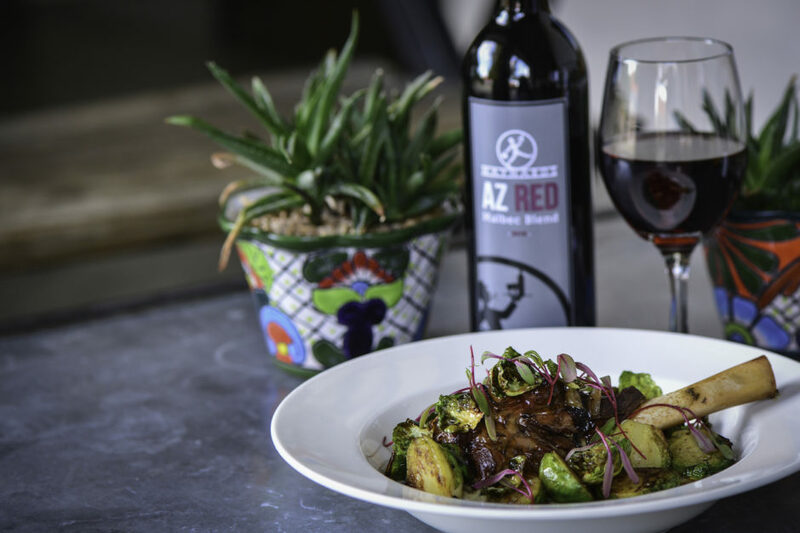 Ever since UNESCO named Tucson its first American World City of Gastronomy, tourists have flocked down south to experience its culinary creativity. Every Wednesday, Friday, and Saturday afternoon, the Taste of Tucson Downtown Culinary Tour backs up the city’s claim to gastronomic fame with stops at five local eateries such as Caffé Milano, Maynards Market, and Augustin Kitchen. The four-hour excursion is like a pub crawl on steroids — or rather, foie gras and truffle fries — threatening to shipwreck your diet in no time. 10. Grill your meat on a rock in Mesa. There’s something visceral about preparing meat on hot rocks. This primitive cooking method has been used for millennia by peoples all over the world, ever since humans first harnessed the power of fire. Located adjacent to Falcon Field Airport in view of departing prop planes, Mesa’s Steak and Stone delivers rib eye, sirloin, teriyaki chicken, and shrimp to guests on a 500-degree rock. Each stone is cleaned thoroughly before use, and, though you do it yourself, servers provide instructions on how to prepare the beef to your perfect doneness. 11. Go for the Dragon Dumpling Burger in Phoenix. Marry the tangy, soy-studded deliciousness of Asian pork bao with the structure of a traditional burger and you have Bitter & Twisted Cocktail Parlour’s ridiculously tasty take on the two. In lieu of a hamburger patty, Chef Bob Tam opts for a thick pork and beef patty oozing with the Chinese five-spice flavor that’s the hallmark of the meaty dumplings you enjoy at your local takeout joint. Topped with creamy white American cheese and a grilled English muffin that approximates a wonton wrapper, the Dragon Dumpling Burger was named a Killer Dish by AZCentral.com, no fire-breathing required. 12. Go from field to feast in Yuma. Most out-of-towners know little about Yuma except that it’s prominently featured in a 2007 Western remake starring Christian Bale and Russell Crowe. Turns out the little southern Arizona berg is also America’s lettuce capital, producing 90% of the winter greens in this country. Get your hands dirty at Yuma’s Field to Feast Tour, a half-day farming adventure where you’ll “fill the chef’s order,” plucking the veggies they’ll be serving at the night’s feast, and taking part in the entire process from farm to table. The tour is available select days every month, so be sure to reserve and schedule ahead of time. Overalls are optional, but gloves are supplied, and a good attitude is highly recommended. This post is proudly produced in partnership with the Arizona Office of Tourism.